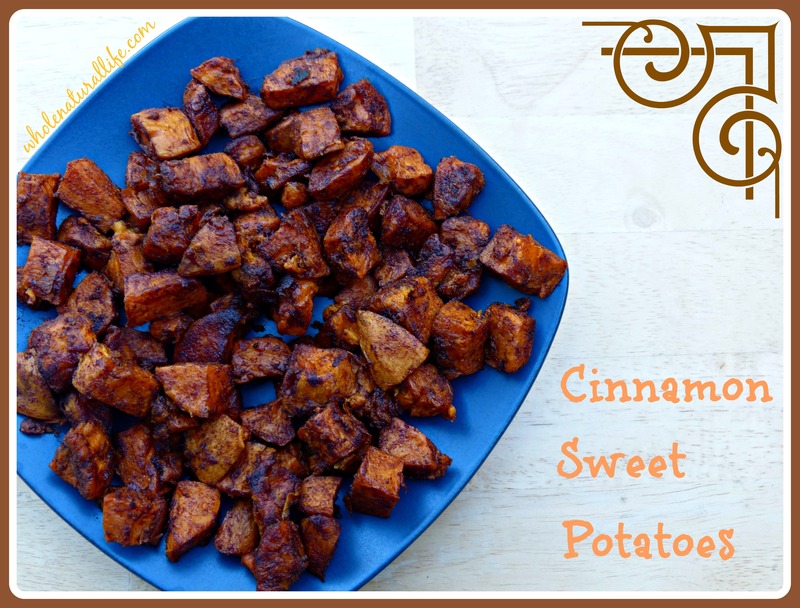 These cinnamon sweet potatoes are a nice change from typical vegetable side dishes. Keira LOVES these, probably because the cinnamon really brings out the sweet potatoes’ natural sweetness. I love that they’re quick to pull together and make great leftovers the next day. If you decide to start making this recipe regularly, I highly recommend buying your cinnamon by the pound, rather than in the little spice jars. You save a lot of money by buying spices in bulk, and it’s definitely worth it if you go through a lot of cinnamon like we do. Wash and peel sweet potatoes, then dice into cubes approximately 1.5 inches square. You want them all to be roughly the same size, but don't worry if you have a lot of variation. Transfer sweet potatoes into a 15" by 10" rectangular baking dish. Add coconut oil and cinnamon and toss to combine. (If your coconut oil is solid, you can put your baking dish in the oven for a few minutes to melt the oil before mixing it in.) Your sweet potatoes should be lightly coated with oil; if they seem too dry, feel free to add extra oil. Bake at 400 degrees for 50-60 minutes, or until the sweet potatoes are soft when pierced with a fork. Looking for More Healthy Veggie Recipes? Go check out my recipe for sweet and tangy marinated beets. Like this recipe, it’s simple to make, tastes great as leftovers, and is toddler-approved.